Snowball worked closely in collaboration with S1 and developed the Enjoy campaign as a nostalgic reminder of the finer things in life. The campaign consisted of a branch poster, letterhead, statement stuffers, a roll-over banner ad and a point-of-purchase display with rack brochures, the campaign encourages bank customers to register for the convenience of online banking and bill pay services. 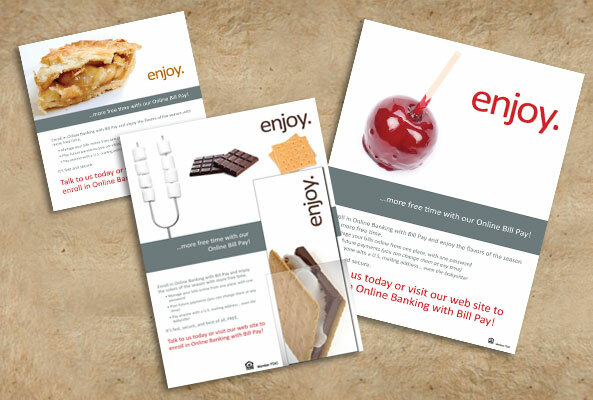 The Enjoy campaign achieved high enrollment from financial institutions.